The ripple effects of exhaustive testing, economic instability, and outdated myths have resulted in ineffective and confused approaches to gifted education in recent decades. Learn how each component has affected G/T instruction, and what you can do to bring positive change. Did you know you can probably trace your biggest challenges in gifted education back to social and political mistakes? For example, the No Child Left Behind Act was meant to increase support for at-risk and struggling students, but it resulted in a lack of focus and resources for G/T students. 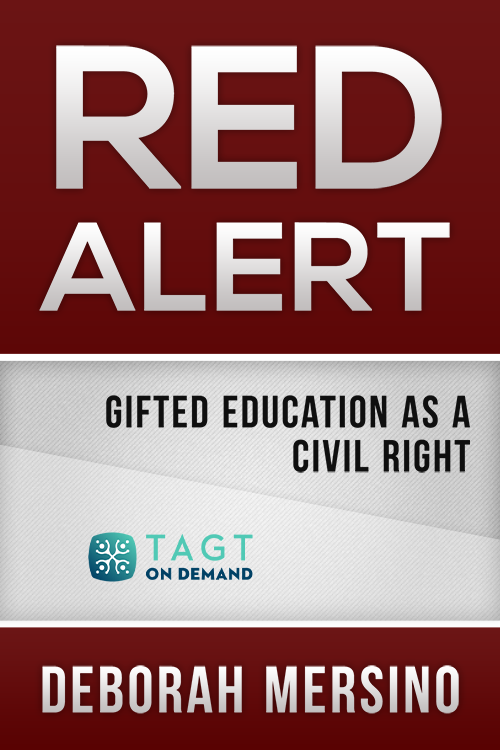 Though society and politics may be beyond your help, your gifted students are not! When you understand the roots of the problem, you can become an advocate for better G/T education. Deborah Mersino is the principal of Ingeniosus, a company created to provide individual consulting and seminars. In this position, she combines her nearly 20 years of marketing and communications experience with her passion for gifted education. Mersino speaks and writes for educators, nonprofit organizations, and businesses that serve gifted and talented communities nationwide.